The GMC Sierra Denali is a full-size and heavy-duty pickup showcasing Giovanna wheels called Dramuno-6 featuring a chrome finish. These truck rims are available in all black, black and silver with a machined faces and chrome finishes. The size options available for the Dramuno-6 includes 24 and 26 inches. 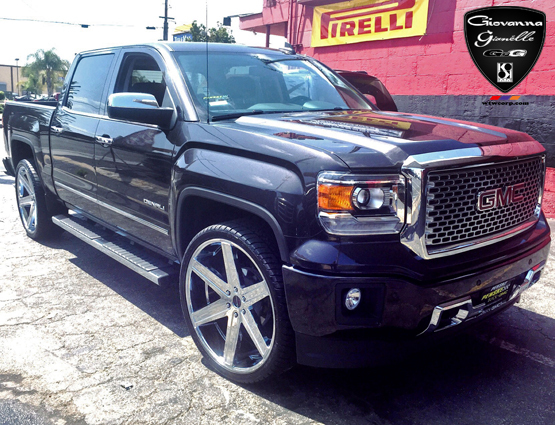 Visit WTW’s website to view more Truck Rims for GMC.